The Smithsonian Natural History GeoTour consists of a total of nine geocaches: two EarthCaches, six puzzle caches, and one traditional. Our goal is to extend the outreach and educational content of the Natural History Museum beyond the National Mall and our website, and into a personal educational field experience. The nine NMNH geocaches will take you on an archaeological and geological trip to the area near South Mountain, PA; to a wetland habitat in an area that once was part of a military base and that is in the process of returning to its natural habitat in northern Virginia; a visit to the dinosaur park just south of Laurel, MD; as well as expose you to corners of NMNH exhibits and web sites that you might have overlooked. You will learn about active research, and how that research improved airline safety for the traveling public; how research being done is making significant changes to our understanding of the peopling of North America, a current topic which has fostered much controversy and debate in the archaeological community. Each of the NMNH geocache pages contain a wealth of educational content, and the nine cache locations have been specifically chosen to provide geocachers with an outdoor learning experience. Our intent is that the experience of completing the National Museum of Natural History GeoTour will be more than finding the geocaches. Our hope is that you come away with a better understanding of the scope of the National Museum of Natural History. And have a bit of fun along the way! Come and experience natural history through geocaching! I'll give you my 5 cents. This older thread in the Northeast section of the US forums has some additional chatter that interested parties may find helpful. This is definitely one of my favorite GeoTours that I've come across. My wife and I stumbled upon it while visiting D.C. a couple years ago. It gave me a whole new perspective on the Natural History Museum! I have particularly nice memories of the wetland habitat. 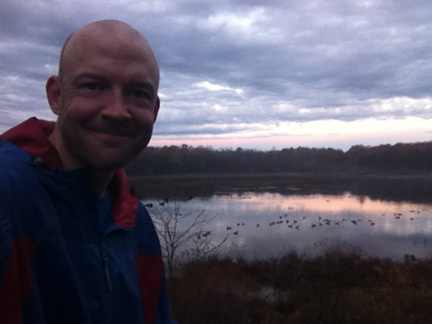 We didn't have a car, so I jogged from our hotel in Crystal City out/back from the wetland. I remember having the area to myself, as it was an early weekday morning (in November). Great times! I also remember receiving a very thoughtful reply from the CO when I wasn't certain about answers on one of the EarthCaches. That's always helpful! 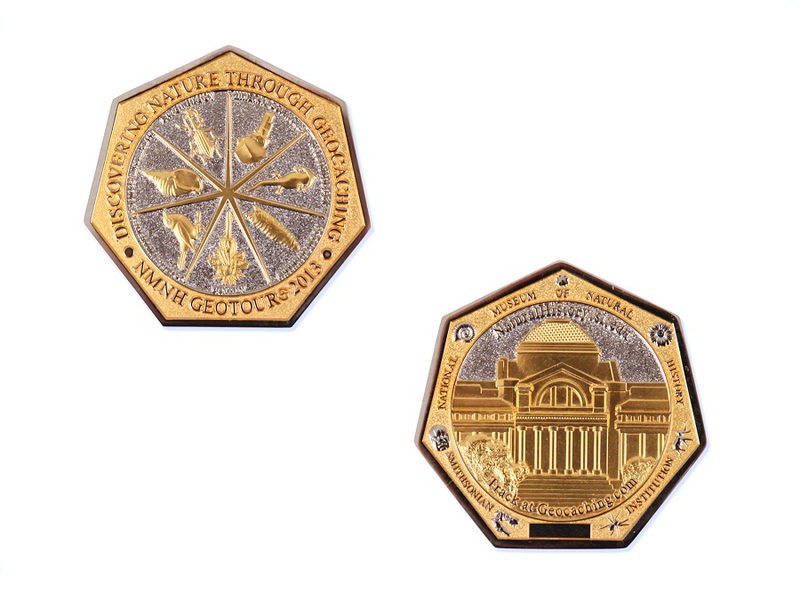 I think I ended up 1 or 2 caches short of earning the NMNH GeoTour emblem for my profile page. But it looks like I'll be traveling that way in May, so maybe I can finish up then. Since neither of my emails were answered, I'll ask here. Is there a geotour exception to the rule against "temporary virtual" caches? I know of several examples where caches were archived because the owners allowed virtual logs. This is apparently being allowed on one of the Smithsonian geotour caches -- I count 16 "found it" logs since the container was pulled due to landscape work back in May. I can understand allowing people to punch their passports for purposes of the geotour while the cache itself is disabled, but it's another thing to allow people to log a cache that isn't there. Hm. I'll look into it, hzoi. Thanks for the heads up. The Smithsonian’s National Museum of Natural History GeoTour will be discontinued at a date to be determined in the first quarter of 2018. The NMNH GeoTour was launched April 2, 2013; and we’ve appreciated the support and positive feedback on the NMNH GeoTour from the Geocaching community. We have enjoyed reading your logs. We hope; and I believe we did, through the cache pages and puzzles, provided a different look into the National Museum of Natural History. We wish it could continue but that will not be possible. We wanted to let you know, at this time, so that if you wish to do the tour it should not be put off. As of 4/20/2017 there remain 125 coins to be awarded for completing the tour. Moonpie10 speaking for the NMNH Geotour. My personal thanks to those who helped with establishing the tour and thanks to those geocachers who made it a pleasure to maintain and keep it going. Hi Dan. I saw that this tour will be ending eventually so I want to get up there and get it done. Is there still coins available?